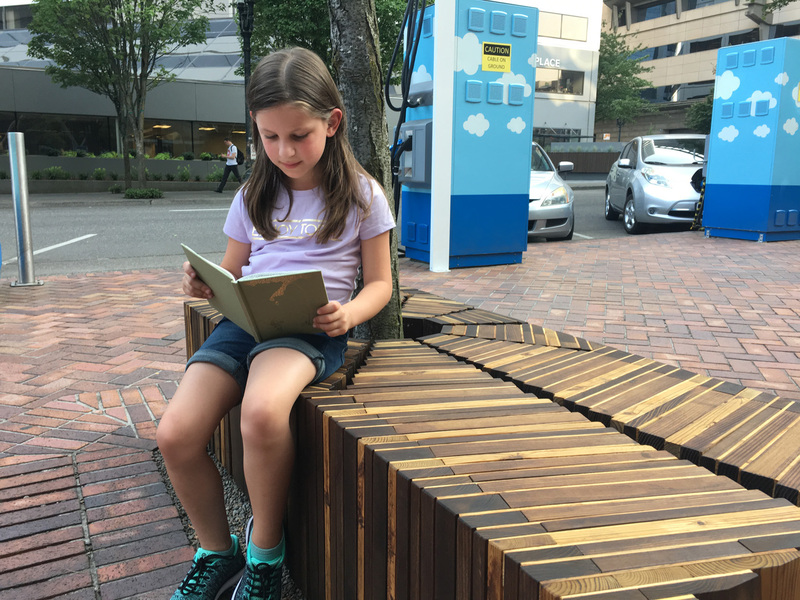 Interested parties have been left standing around for an extra week while they wait to find out the three finalists of Portland, Oregon’s Street Seats: Urban Benches for Vibrant Cities design competition. The announcement ceremony was rescheduled to avoid a potentially violent political protest at the adjacent Tom McCall Waterfront Park and eventually took place on August 9 in downtown Portland. 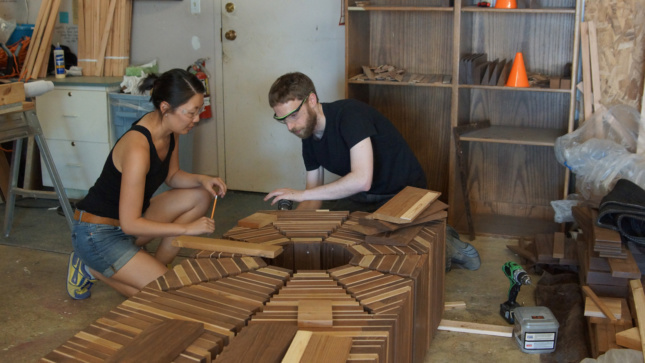 Launched in January, the competition attracted over 200 international entrants, and many referenced the Pacific Northwest’s rainy climate and penchant for locally sourced wood construction. In addition to basic physical and safety requirements, the design brief emphasized sustainable materials and innovative processes while requiring a 1/8th scale model and a video. Fifteen shortlisted entrants received $1,000 grants to fabricate and install their prototypes on site. The runner-up, Fluid Wood, was the result of a collaboration between Portland-based architect Norberto Gliozzi and Axiom Custom Products. Fluid Wood comprises layers of laminated wood cut in an egg-like form. 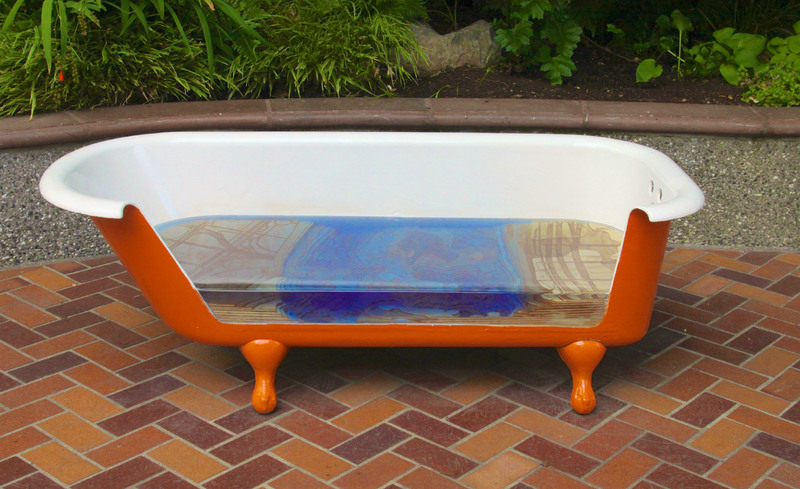 Another finalist by The Tubsters, from Berkeley, California claimed the people’s choice award for Tub(Time), a cut-away bathtub containing hardened transparent resin representing the Willamette River and a topographical map of the downtown and central eastside. Passersby are encouraged to climb in and recline. The Design Museum, which hosted a similar Street Seats competition in Boston in 2013, was not the first to sponsor such a challenge in Portland. The City of Portland Bureau of Transportation (PBOT) had developed guidelines in 2012 based on similar programs in New York and San Francisco to convert on-street parking spaces to public use. 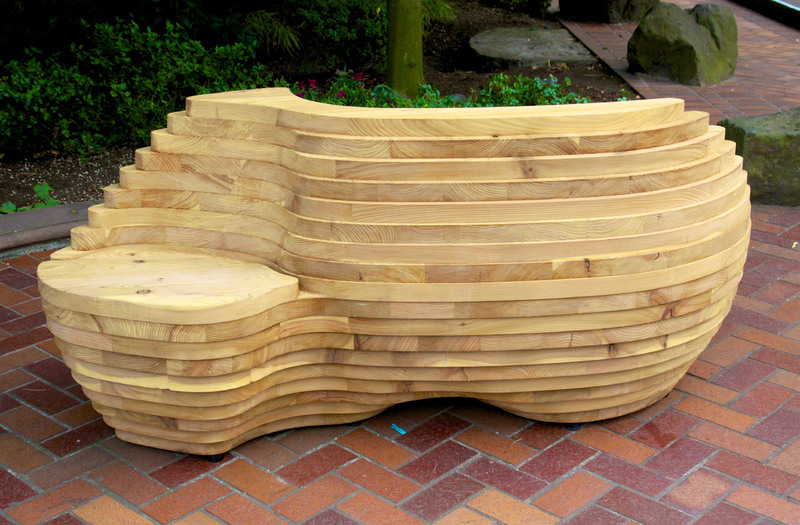 During a 2014 collaboration with the Center for Architecture, Portland yielded two winning submissions for seating that were installed in the city’s northeast quadrant. In the summer of 2015, Portland State University architecture students designed and built a seating structure downtown. PBOT canceled the 2016 competition for an uncharacteristically low response rate; however, PBOT’s program still exists outside of the downtown area. This year’s Design Museum Portland competition is unrelated to the City’s previous efforts and was launched independently. Many passersby spontaneously stopped to try the seats and participate in the announcement ceremony after the unveiling, reaffirming Design Museum Portland’s managing director Erica Rife’s statement that it is “important to be a good neighbor and inspire this community to be closer”—a much-welcomed change from the previous weekend’s police and protester standoff. The 15 seats and over 200 1/8th scale models will remain on view until February. 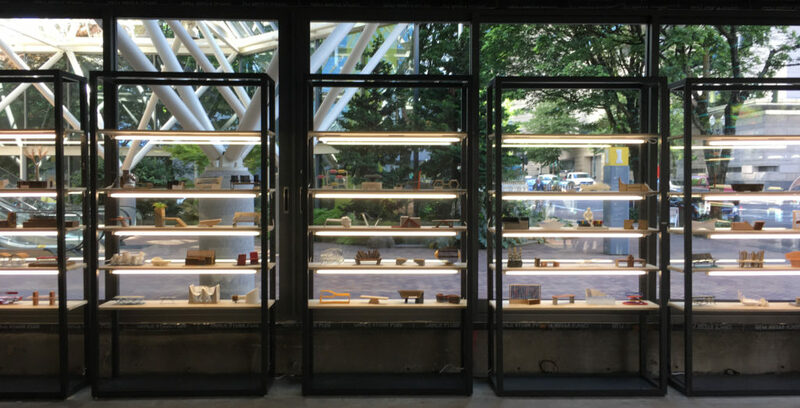 Several seats—Fractal Rock by Holst Architects, B_tween Bench by Gamma Architects, and Fern by Yingjie Liang, in addition to the winner and runners-up—will remain installed at the WTCP while the others will be relocated to sites throughout Portland. An online exhibition and schedule of accompanying programs are hosted at designmuseumportland.org.